With this humble advocacy who wouldn’t want to support an endeavor that gives back to the people and to Mother Nature. I’ve been a Human Heart Nature user for sometime now, not only that I’m convinced with this company’s cause, but also because their products are purely environment-friendly and that is something a consumer like me would go for. I can’t live a day without a hair cuticle coat on, if that happens, there’ll only be two occurrences, a tie-hair-all-day or a bad hair day, I often go for the former to avoid the latter. However, even with thorough blow-dry, baby hairs still pop out of my hair line –it’s a good indication though that my falling hairs are being replaced, but then again, they’re not pleasing to the eyes – this is when I often seek refuge to hair coats. Unlike other brands that are sticky, heavy and greasy, Human Nature’s 100% Natural Smoothing Hair Serum is non-slimy, it’s light and watery, and you can even shake it. At first I thought it wouldn’t work like the one’s I used to buy at the grocery store – but I was wrong, it actually performs even more. I'm not really sure what my previous coat was made of, ingredients are hard to pronounce - they say it contains silicone that it coats the hair like plastic, while it smoothens the hair in the beginning it actually damages your precious locks in the long run. This is supposed to be a germ-killer, yes, the label says KILLS 99.9% OF GERMS, but when people just don’t read labels and mistook it for a body cologne, it would also perfectly do. It happened, ask my husband, hahaha. This is the only sanitizer I know that smelled no alcohol, but instead it bursts a plethora of tropical fragrance you can even mistook it for a spray cologne. Love it much! This is also available in Citrus Burst and Juicy Burst scents. 50 ml is only P64.75. I’m a real sucker of handmade soaps, I have quite a collection of all-fruit-vegetable soap and my latest was an oatmeal soap I rummaged at a bazaar on August, probably coffee soap by December, lol. 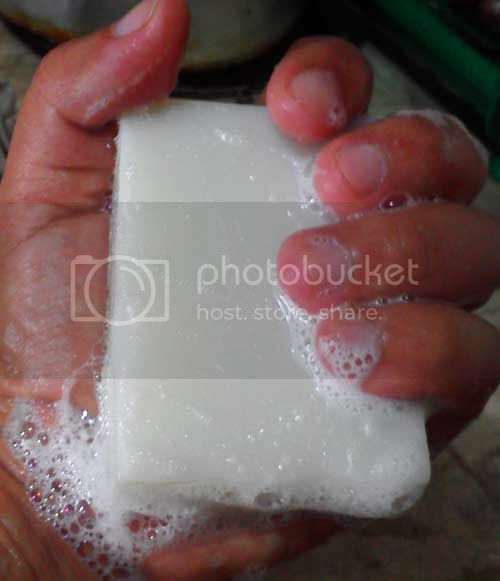 Anyway, I always thought organic soaps do not give you a good lather, because they’re devoid of these chemicals – these foaming agents that made them to, but with Human Nature’s 100% Natural Cleansing Bar, if you want lather, it’ll give you lather – that without drying and tightening your skin. I believe in what this product has to say – ‘100% no harmful chemicals.’ 50g is P59.75. This line on their magalogue says it all … ‘Do the earth and your skin a favor! Each time you use our cleansing bar, you help make our environment a little greener and your skin a lot cleaner!’ So try it today. This is the season of gift giving, why not give practical gifts that are not only environment-friendly but also supports our less fortunate brothers and sisters. 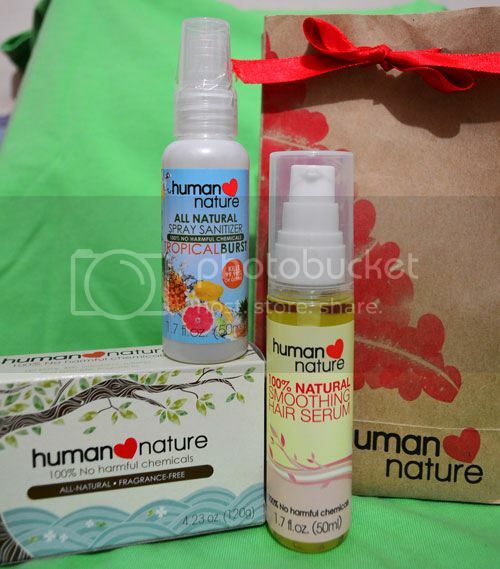 Human Nature has gift packs ready for gift giving for as low as P99.00. Grab them today and be the most generous Santa by also helping others.